Shea is so thankful to make his Kokandy Productions debut! 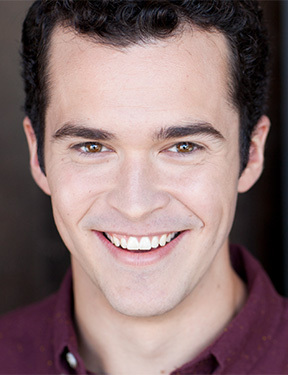 Recent credits include: The Polar Express (Rail Events Productions) and Beauty and the Beast (The Legacy Theatre). He also performed last year in the cabaret Times Have Changed: A Reimagining of Cole Porter at Joe’s Pub in New York City under the direction of Sutton Foster and Michael Rafter. Shea is a proud graduate of Ball State University. He would like to thank the entire Kokandy team for this wonderful opportunity. He would also like to thank his dear friends, family, and Laura for their love and reminding him to not sweat the small stuff…and it’s all small stuff!